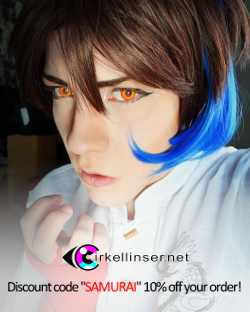 Shiro Samurai's Cosplay: Making Kojirou's not-so-identical tekkou! During the final days of April I went to buy some fabric to make Kojirou's tekkou, aka hand guards. 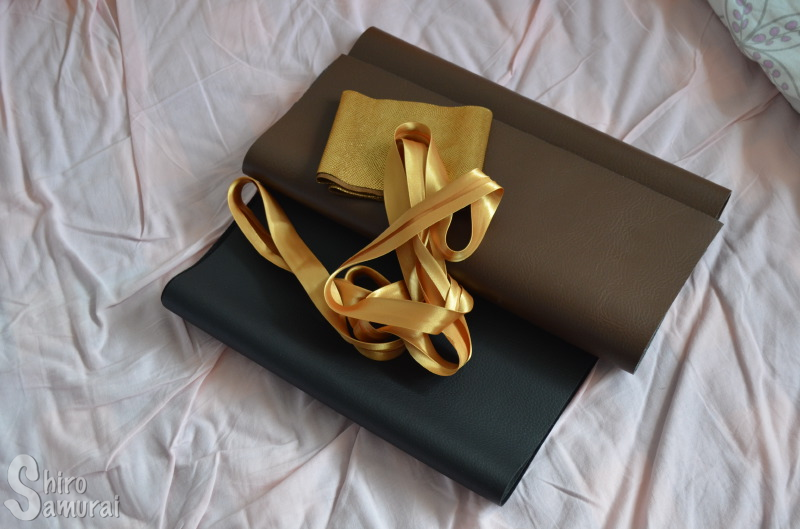 I had luck with me this time and Eurokangas had everything that I needed – black fake leather, dark brown fake leather and golden bias tape! Now you're probably thinking something along the lines of "what Kojirou?" 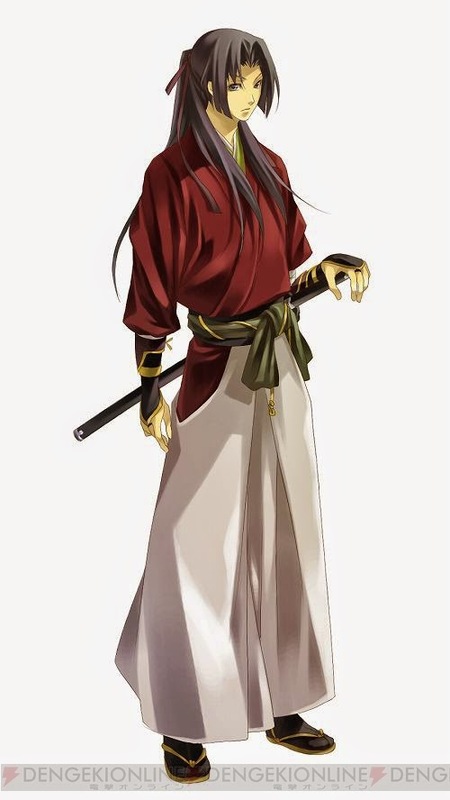 and that's right, the name is a historical one and he was a famous swordsman living during the Sengoku and early Edo period; he was most known for having battled Musashi Miyamoto. 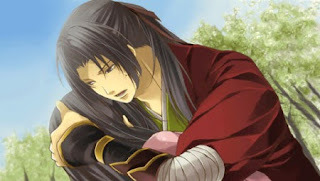 Though the Kojirou I'm cosplaying is one from a visual novel and on this one he is a faithful bodyguard of Hana-hime, the main heroine. I was studying my limited references and after staring at them long enough it became clear to me that his tekkou were slightly different on each arm, for some reason. At first I had thought that it was just inconsistent references being at it again (as always), but, after some closer inspection I did notice that they were indeed different. Wut. 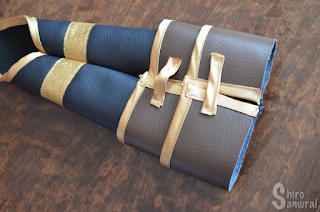 I jumped over to the textile/hand-working class in school to make these because hey, my apartment is way too small for a sewing machine... and I don't even have one anyway. The first lesson I had at 29th April and what I did first was draft my base pattern with the help of a tekkou I already had saved me some trouble. I then did some modifications on the pattern and –when it seemed like it might even turn into something that works– I made a quick prototype out of fabric scraps to check the fit. It fit! Sure that it was a bit loose but seeing how it will be made of fake leather (that doesn't stretch) and there will be a folded kimono sleeve and wrappings under, I, well, thought it better to make it a bit more roomy. 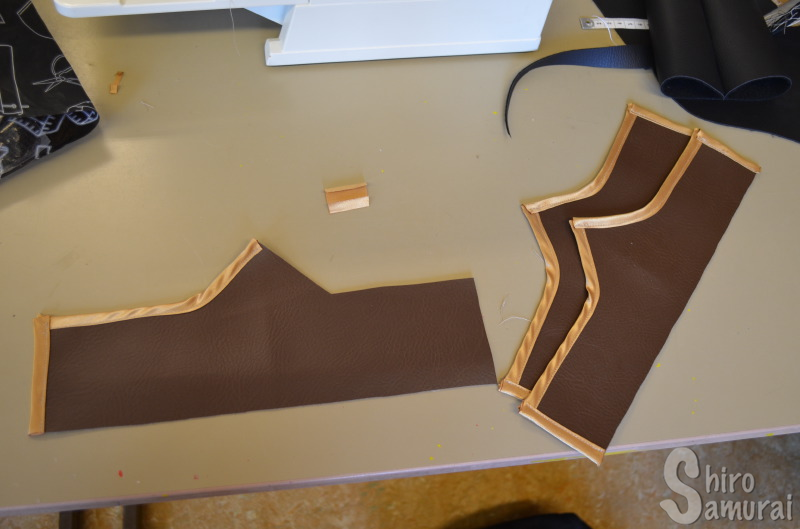 With the prototype working I cut out the parts from the black leather.. and that was when I noticed my first problem – I had miscalculated the width of the tekkou and thus I was a few centimeters short. 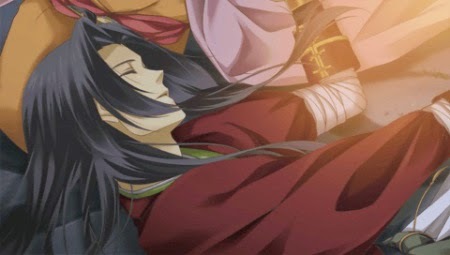 Oh well, nothing much to do than cut it out anyway and pray that the few centimeters weren't a deal-breaker. 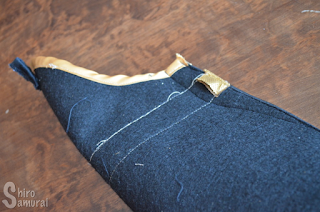 After having cut out the leather pieces I sewed on the golden bias tape around the edges. 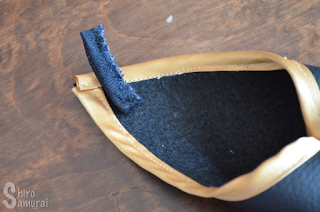 Of course this was a troublesome episode – I had to rip up my stitches and redo three times, always because it didn't attach on the opposite side. Blargh! Bias tape, I love sewing you so....... not. 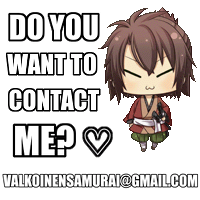 One tekkou bias tape'd, other one still au natural. 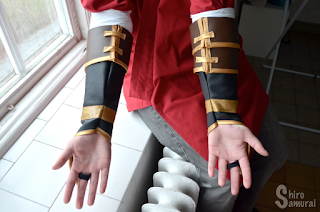 Next I added the golden fake leather to make the thicker "rings" around the tekkou's upper half. After that I sewed one of the tekkou shut (aka so it takes the tube form) and then I proceeded to make the brown leather details that are on the lower half of his tekkou. look like on the underside. After looking at the references for a short moment I got an idea of how to do them. 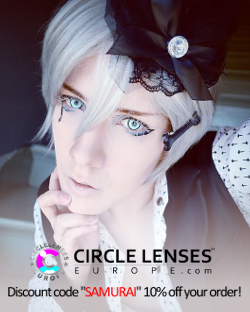 Let's start! 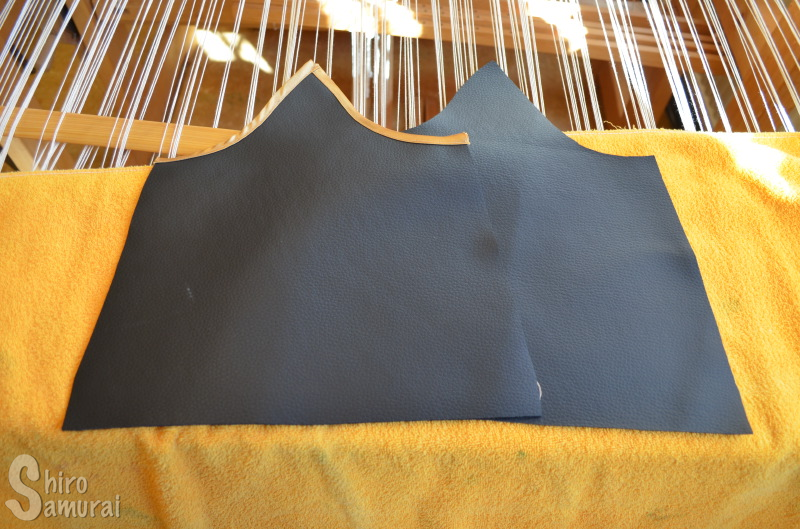 I started taking some measurements and then drafting out the design on the wrong side of the leather fabric. 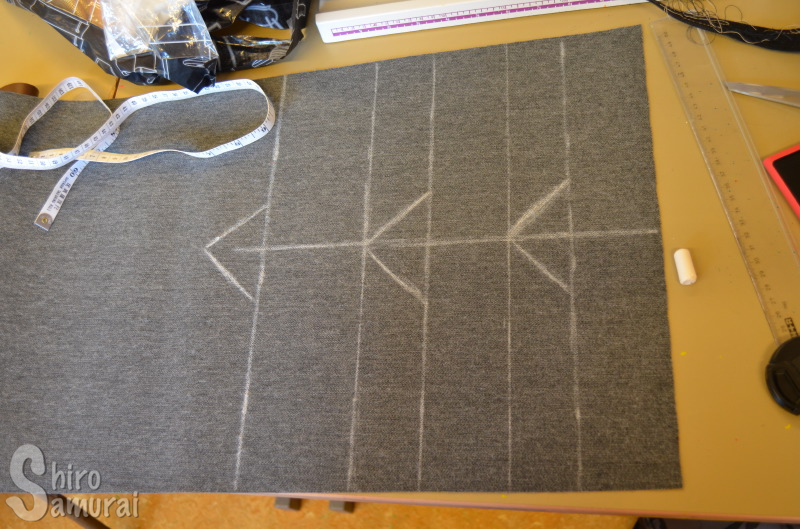 I then just cut them out and shortened each piece a bit because 35-36 cm in length was a bit too much. 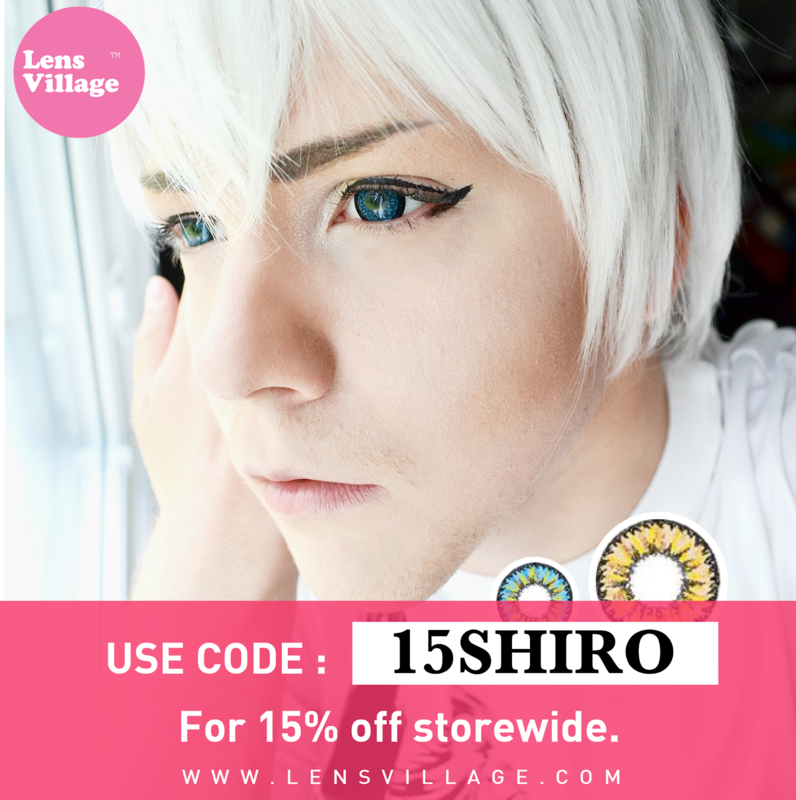 When doing the shortenings I accidentally cut one piece too short, or more like, each end wasn't even at one point, even though I swear to God I cut the same off on both sides! After a moment of "what the hell went wrong and where??" I noticed that it wasn't my fault – the person who sold me the fabric had cut horribly non-straight. Urgh. ._. Yep, so I had to redo one of the pieces (the thickest, aka solo one). I added bias tape to the needed areas again – this time it went smoothly! A lot of bias tape sewing later I ended up realizing that I didn't have enough bias tape to finish my stuff – off we go back to the fabric store to buy 60 cm more! In progress... and out of bias tape, fffuuu. When I was done with sewing on the bias tape I did the "closing systems" on the underside of the tekkou... yeah, out of bias tape too. I folded it in half, sew a straight stitch on top and then just sew it on at each end; the other end by hand. Oh, and speaking of which, I sacrificed some accuracy on these because if I had put two closing ties on each piece (especially on the double smaller ones) it would have looked too crammed/busy and so –on the double pieces– I put one tie per piece, instead of two. 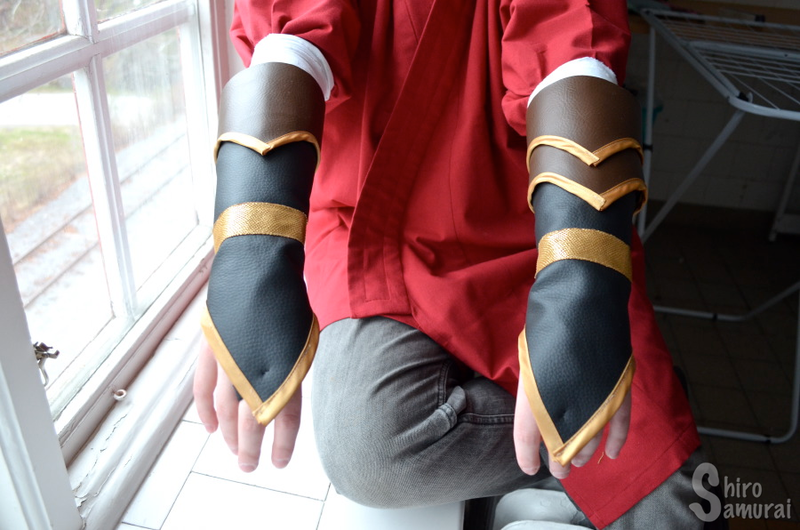 After that I did some "attachment spots" by hand-sewing on strategical places –so that the brown details will stay on the main body of the tekkou– and thus be less of a hassle to put on and wear. Brown details completed, feat. "closing system" on the underside. 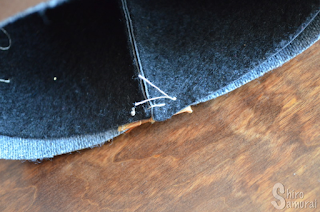 Example of hand-sewn stitch to keep the details in place, at all times. With that done I was almost finished! 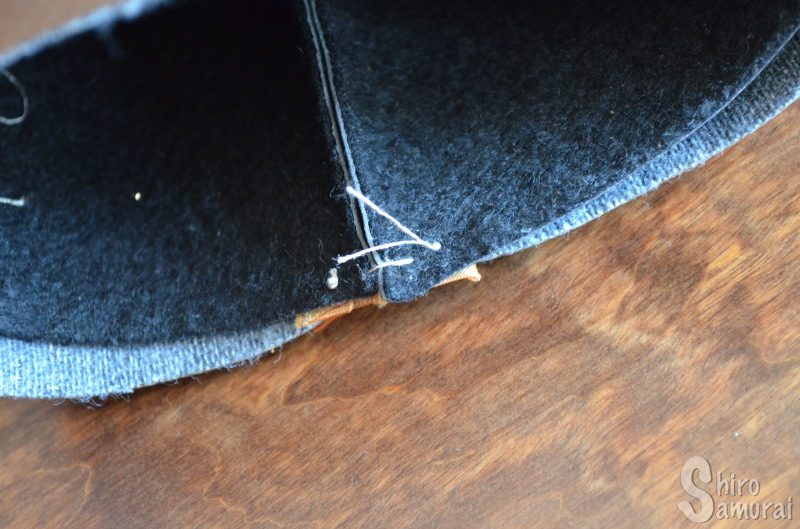 The only thing left was to make the little loop for the middle finger (which I made out of some solid fabric scraps) and hand-sew it on. At this point I tried on the tekkou (it wasn't the first time) and for some reason it took me until now to realize that it was way too wide where my hand came out! Sure that I had made them bigger on purpose so that I can cram parts of the kimono sleeve –wrapped in bandages– under it, but still. So what do I do? Take it in, of course! And of course because I did this by eye measurement (aka without measuring properly before) I ended up taking in too much at first and then I couldn't even get my hand through the opening... go me. ._. Luckily my oopsie run didn't leave too horrid holes in the leather, so I didn't ruin my almost-finished piece of work, phew. 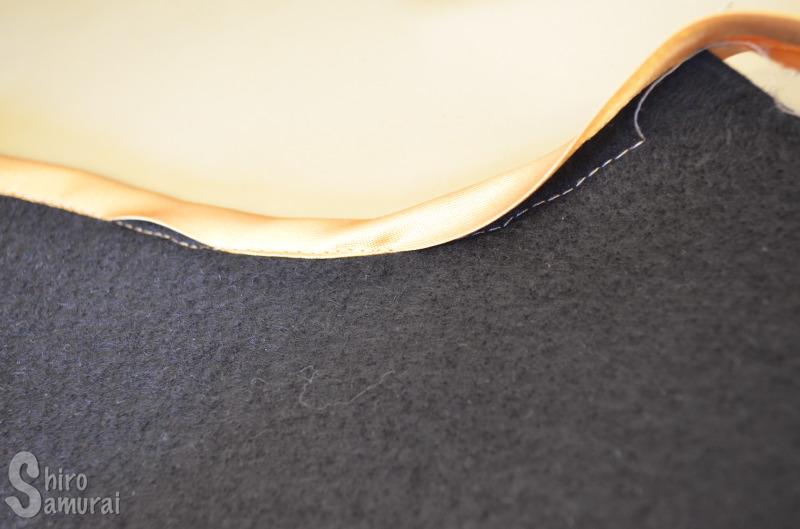 Tekkou turned inside out, showing the original seam and the "take it in"-seam. oooh great job! you're so talented.